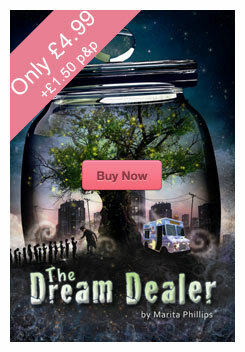 The Dream Dealer is a popular and original children’s fantasy story for boys and girls from 9-13 years. Browse this website to find out more about the book. A stranger turns up at the school gates. But the Dream Dealer sells something far weirder and more wicked that just ice-creams. Who is he and what is that glowing in his Jar...?